Brrrrrrrrr. here's a wisteria that can take some cold! 'Blue Moon' was selected in Northern Minnesota for bone-chilling cold tolerance and repeat bloom. If sited in full sun, it will bloom up to three times during the growing season. Flowers are a beautiful lavender-blue, borne in 7-12”-long racemes and are lightly fragrant. 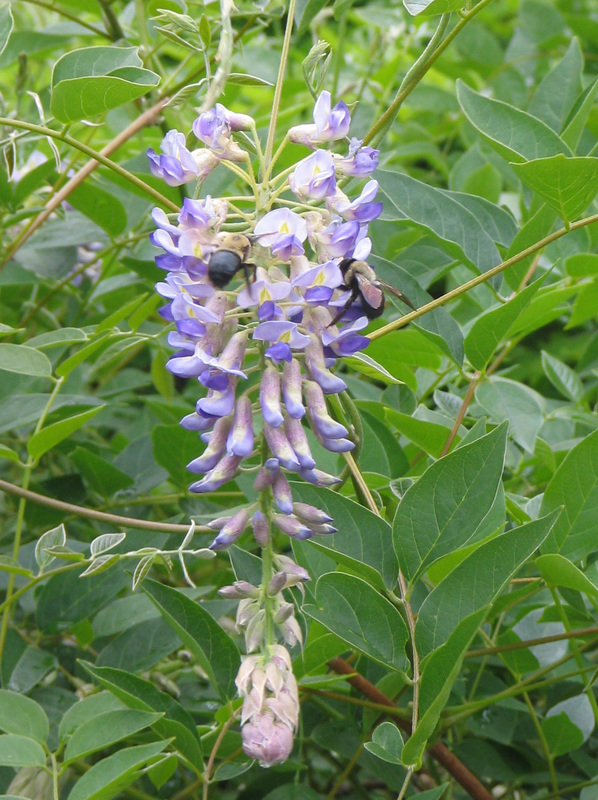 Botanists consider American Wisteria and Kentucky Wisteria to be the same species (W. frutescens). From a horticultural point of view though they are distinct. Kentucky Wisteria has flower racemes that are considerably more elongate than those of American Wisteria. They resemble the Asian wisterias in this regard. They tend to be a full zone cold-hardier as well. So if you would like to grow a Wisteria at the higher elevations of the Catskills, go with 'Blue Moon' in preference to any of the W. frutescens cultivars.